Barret Benson slams home a dunk. He announced his decision to transfer Tuesday. For the third time since Northwestern lost to Illinois in the Big Ten Tournament, another player has announced he is transferring. Junior center Barret Benson announced that he will transfer out of the program in a post on Twitter on Tuesday. Since Benson is graduating early, he will be able to play immediately as a graduate transfer. He has one more year of eligibility left. With Benson’s transfer, none of the members of the Wildcats’’s 2016 recruiting class remain. Fellow classmates Isiah Brown and Rapolas Ivanauskas transferred after last season. Benson finished his career averaging 2 points per game and 2.3 rebounds during his three years at NU. During his Cats career, Benson played in all 96 games and started 14. In his freshman year, Benson posted a 59 percent field goal percentage, the best of his career. As a sophomore he gained more playing time, averaging almost 10 minutes per game. This year, Benson recorded the lowest field goal percentage of his career, shooting 40 percent from the field. His best game came against Binghamton, when he played 27 minutes and posted a double-double with 12 points and 14 rebounds. Including next year’s recruiting class, NU will have nine scholarship players on the roster. With the graduation of Benson and Pardon, freshman Ryan Young is the only Big Ten currently on the roster. 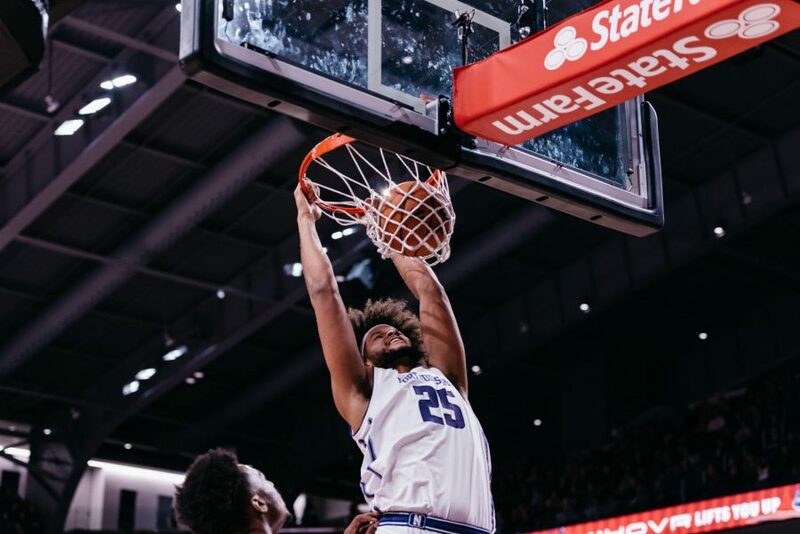 The Cats will also bring in Jared Jones, a 6-foot-9 center, from this year’s recruiting class.